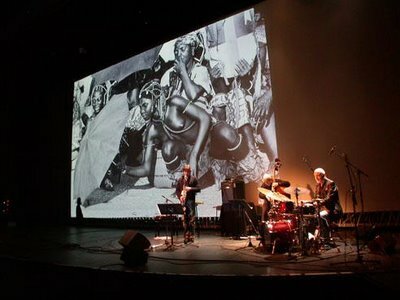 We’re halfway into the London Jazz Festival, and the annual event has already delivered three great audio-visual experiences, writes John L. Walters, including movies, animation – and now some black and white documentary photography. Last Saturday afternoon there was Steve Bernstein’s Millennial Territory Orchestra with their rousing soundtracks to three Laurel & Hardy silents. That was followed in the evening by Bill Frisell’s amazing trio gig, also playing live accompaniment to shorts by Jim Woodring, Bill Morrison’s The Mesmerist and two Buster Keaton movies. 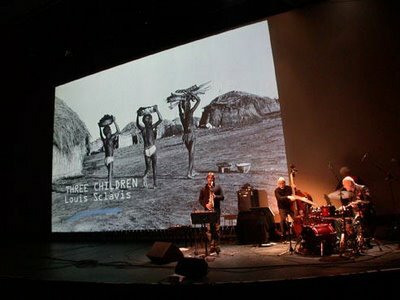 And last night we had African Flashback, Magnum photographer Guy Le Querrec’s long-term collaboration with musicians Aldo Romano, Louis Sclavis and Henri Texier: brilliant stuff, which earned two encores from the enthusiastic crowd. One encore was ‘Viso Di Donna’, a bass clarinet feature accompanying a sequence of images of women – young, old, working, at leisure, in everyday outfits or carefully dressed for special occasions – that ended with a striking shot of a girl in a cab. 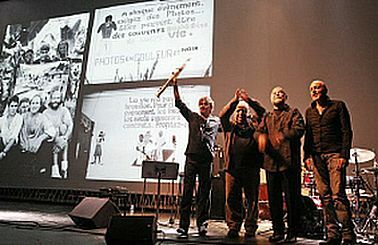 Photographer Le Querrec jumped on stage to share the applause with the three musicians. 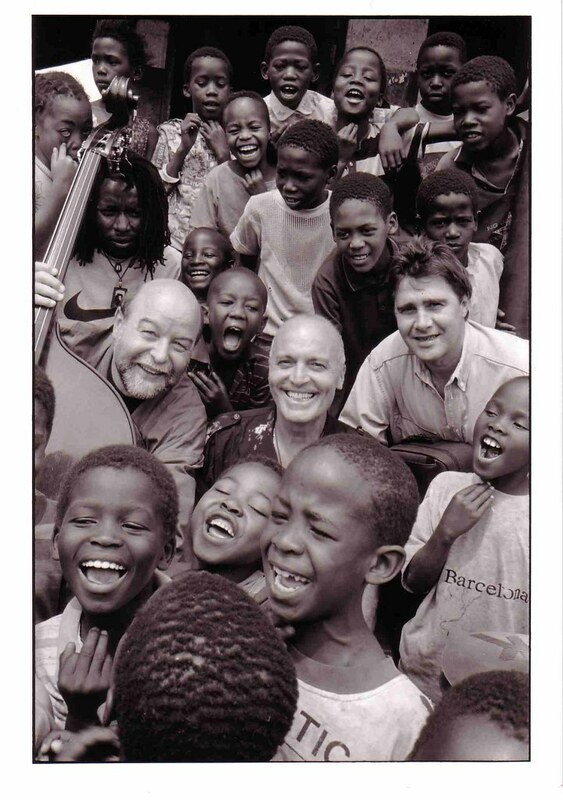 See JLW’s Guardian blog about European jazz at the festival. Above: Texier, Romano and Sclavis with fans. © Guy Le Querrec / Magnum Photos, courtesy Serious / London Jazz Festival. 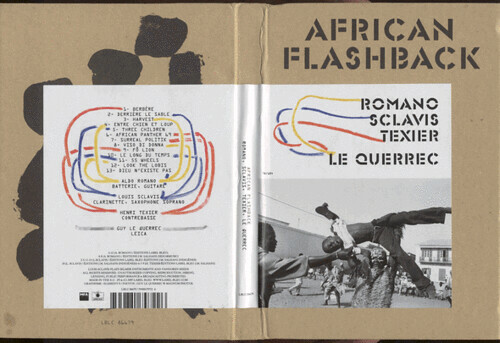 Below: African Flashback (Label Bleu), limited edition CD book, 2006. Thanks to thirdear.blogspot.com for performance thumbnails, below.